At Gabrielsen’s Country Farm we are dedicated to growing top quality plants for the best possible prices! Visit our North Fork Farm Stand this fall for a large selection of Hardy Mums, Montauk Daisies and Ornamental Cabbage. Asters are available while supplies last! 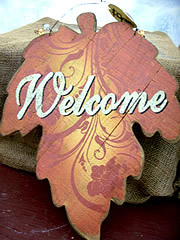 We also carry Straw Bales, Cornstalks, Pumpkins, Fall Bows and crafts for all of your decorating needs! Hardy Mums as low as 8 for $10.99!!! All Season Special! Take home some of our delicious, locally grown sweet corn, tomatoes, and apples! Check out our delicious jams and jellies, or bring home a bottle of pure maple syrup! Don’t forget to try our delicious Roasted Sweet Corn and Fresh Apple Cider! FALL FESTIVAL SPECIAL: Buy 3 admissions, get the 4th admission FREE. Download coupon here. Our farm stand is open 7 days a week (including holidays) from Mid-March thru December 24th.